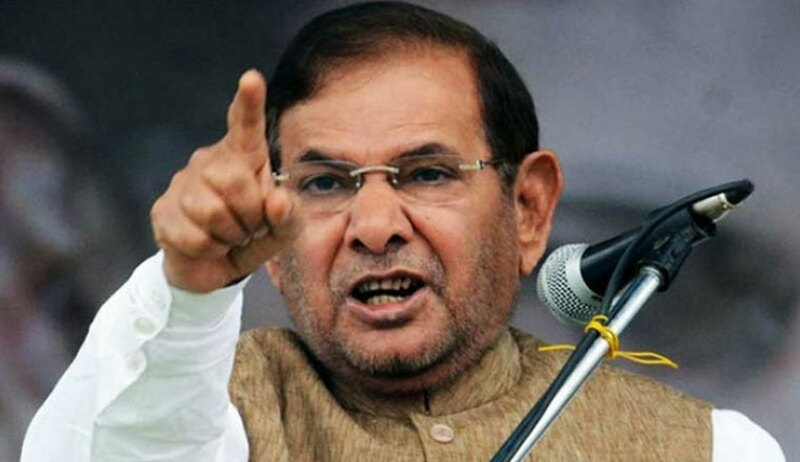 The Supreme Court on Thursday allowed JD(U) leader Sharad Yadav to retain his residential accommodation as a member of the Rajya Sabha pending the disposal by the Delhi High Court of his challenge to his disqualification. The vacation bench of Justice Adarsh Kumar Goel and Justice Ashok Bhushan, however, expressed concerns regarding the drawing of allowances and perquisites from the public exchequer during the pendency. Senior counsel Guru Krishna Kumar, representing Yadav, affirmed that the respondent would not withdraw any salary until the matter is finally decided by the high court. The bench was hearing the SLP preferred by JD(U) Rajya Sabha member Ramchandra Prasad Singh against the order dated December 15, 2017, of the high court continuing Yadav's entitlement to his bungalow as well as his remuneration. Senior counsel Ranjit Kumar appeared for the petitioner. On Thursday, the bench directed the high court to decide Yadav's plea expeditiously by July 12. Yadav has approached the high court impugning an order passed by the Chairman, Rajya Sabha, in December last year disqualifying him as a member of the Rajya Sabha under paragraph 2(1)(a) of the Tenth Schedule to the Constitution of India. Before the high court, senior counsel Kapil Sibal, appearing on behalf of Yadav, assailed the impugned order on several fronts. First, he contended that the procedure adopted by the Chairman was in violation of the principles of natural justice. He submitted that the petitioner was denied a full representation through counsel and, thus, was effectively denied a fair opportunity of being heard. He claimed that there were well-established precedents wherein matters of disqualification under the Tenth Schedule, advocates had been permitted to represent the members sought to be disqualified from the Lok Sabha and various State Legislative Assemblies. Second, he argued that the impugned order has been passed mainly on the basis of newspaper reports and video clippings, none of which were supported by affidavits or corroborated by any other evidence. He also pointed out that the Chairman had proceeded on the basis that none of the reports had been negated. Apart from being factually incorrect, the approach was also contrary to law. Third, he attacked the impugned order for being premised on the basis that Yadav had criticised the leadership of the party in question. He averred that criticism of leadership cannot be equated to voluntarily giving up the membership of the political party. Further, Yadav has a right to criticise the leadership and such a right cannot be fettered. Lastly, Sibal submitted that the reliance placed on the decision of the Election Commission of India passed under paragraph 15 of the Symbols (Reservation and Allotment) Order, 1968, also was not justified as the same is only limited to the context of allotment of the election symbol and is also the subject matter of challenge in a writ petition pending before the high court. The high court had observed, "While, some of the submissions made by Mr Sibal appears to be prima facie merited, it also appears that the petitioner had taken an unequivocal stand by supporting a petition or an Election Symbol that the party now under the leadership of Mr Nitish Kumar, Chief Minister, is not the ‘original party’ and this contention appears to have been rejected by the Election Commission of India. This does appear to indicate that the petitioner is not claiming membership of that party...In this view, this Court is not inclined to interfere with the impugned order at this stage. However, it is clarified that the petitioner would be permitted to draw all allowances and pre-requisites including retaining the residential accommodation as a Member of the Rajya Sabha, till further orders." Leader of the JD(U) in the Rajya Sabha Ram Chandra Prasad Singh had filed a petition before the Chairman of the Rajya Sabha on September 2, 2017, under Article 102(2) read with Paragraph 6 of the Tenth Schedule to the Constitution and Rule 6 of the Members of the Rajya Sabha (Disqualification on Ground of Defection) Rules, 1985, praying for Yadav’s disqualification. The former had alleged that Yadav was elected to the Rajya Sabha on the JD(U) ticket from Bihar on July 8, 2016, and that by his repeated conduct, public/press statements against the JD(U) and its leadership and openly aligning with a rival political party, the Rashtriya Janata Dal, he had voluntarily given up the membership of the party. In what appears to be the fastest decision by any presiding officer under the Anti-Defection law, the Chairman had taken just around three months to take the call.